We love our pets, and they fill our home with so much love – but they can also fill it with fur, odors and messes. It’s inevitable: Accidents happen and even the best trained pet won’t guarantee a mess-free life. Whether you’re faced with day-to-day cleanup or greeted with a nasty surprise, here are some expert tips for maintaining the livability and appearance of your home. When it comes to cleaning up after animals, grab this common product in the kitchen – it’s not just for cooking! White vinegar helps neutralize the smell of urine. When there’s an accident on the carpet, try to clean it up quickly by applying pressure with paper towels or a cotton cloth to prevent the urine from seeping deeply. Then, using equal parts white vinegar and water, pour the solution onto the stain and blot it using a paper towel, pressing firmly. Additionally, you can sprinkle the vinegar-treated area with baking soda, let it sit until dry and then vacuum. Diane Ellis, owner of Affordable Cleaning in Anchorage, says that prevention and proper training are the most important steps when dealing with urine odors. When remodeling a home with urine that has seeped into the carpet, Diane says that they will usually have to rip out all the carpet and padding and seal the floor, which ends up being expensive. 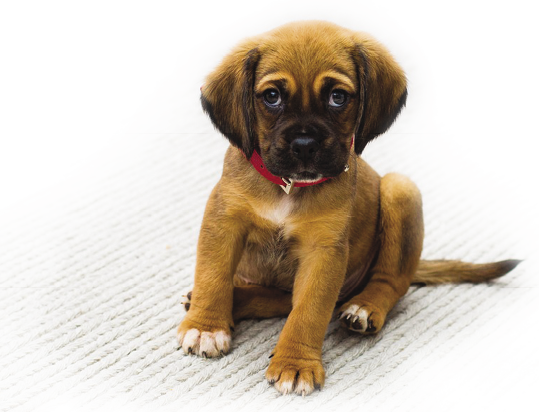 “It is hard to remove urine odors from carpet completely. Cleaning chemicals certainly help but prevention is key. If the owner lets their cat or dog continually do it, the carpet will never be clean and there will always be lingering odors. Catch it early,” Diane advises. In the event you catch that accident later rather than sooner, professional cleaning may be your best option. If you want to try your hand at a set-in stain, the Humane Society of the United States suggests renting an extractor or wet vac from your local hardware store or grocery store to remove all traces of heavy stains in carpeting. However, avoid using steam cleaners to clean urine odors from carpet or upholstery. The heat will permanently set the stain and the odor by bonding the protein into any man-made fibers. Cleaning up a urine stain sounds easy enough, but it’s more complicated when you can smell the odor but can’t find the stain. For those whose pets are prone to hiding their urine spots, a black light can be used to find the offending area. With the lights turned off, urine literally glows when exposed to the black light. Even long after urine has dried, its scent-creating chemicals will still be visible, making the stains easy to find. Once you identify those soiled areas, lightly outline the areas with chalk or masking tape so that you will be able to find the entire area once the lights are on. Cat owners can prevent urination problems by getting their furry friend fixed. Cats use urine marking to tell other cats that this home is their territory. While this is helpful to other cats, it’s a nightmare to the poor homeowner. Urine marking can be done by any kind of cat, but it is most common in unneutered males. Once spayed or neutered, this behavior is likely to decrease or cease all together. Another reason for urine marking is an unexpected change in the cat’s life. Whether a big change like moving homes or a small change like a new box showing up in the living room, these events can stress cats, lead them to use urine marking to deal with the situation. If your cat is prone to urine marking, try to avoid changes in routine whenever possible. Regular upkeep on litter boxes and keeping them as tidy as possible encourages cats to use it, instead of the carpet! Situate the litter box on a non-carpet surface, like in a utility room for instance, away from any baseboards. Urine isn’t the only accident pets can make. Even worse is dreaded vomit. There is no quicker way to ruin your carpet than letting vomit soak in. When it happens, act fast and clean up whatever vomit you can. Afterwards, toss an absorbent material, like baking soda for one, on the area. Let it set for about 15 minutes before vacuuming up the left over baking soda. Sometimes vomit stains require a little more elbow grease, however. If the stain persists, try using a mixture that cleaning professionals swear by. First, mix together one tablespoon of white vinegar and one tablespoon of dishwashing soap with two cups of warm water. Grab a washcloth or sponge and pat the mixture onto the stain. After letting it set, clean off the mixture by blotting the stain with cold water. Your carpet will be as good as new. A fuzzy and cuddly pet is wonderful until it comes to cleaning that mountain of shedding hairs. Reduce hair by regularly brushing cats and dogs with the right brush for their hair type. Look for brushes designed to remove your pet’s undercoat. Experts say using such tools can reduce shedding up to 90 percent. The best defense against hairs is regular vacuuming, especially during the time when your pet is shedding more. Not only does this keep your floors looking fresh, it also helps protect your family. Hair that collects in corners and beneath carpet fibers is notorious for harboring dust and allergens. For hairs that have embedded into fabric, upholstery or other surfaces, try using this simple and easy tool: a damp rubber glove. Put on the rubber glove, get it wet by lightly splashing your hands under a faucet, then rub your hand along a surface. Those stray pet hairs should stick to the glove like a charm. A lightly damped sponge works well too. If walls could talk! An often overlooked pet cleaning issue is dirt or scratches on the walls. If the dog hasn’t had a bath lately, they can be rubbing all kinds of dirt into the walls. “Pets like to rub up against the wall, so take time to keep the walls clean where they walk. Just scrubbing these walls with soap and water does the trick,” Connie advises. Another helpful tip: Use a magic eraser to keep the white trim clean, she says. Made of melamine foam pads, these magic erasers are useful cleaning tools when deep cleaning around the home. Find them at any supermarket. For those occasional scratches on wood, a touch-up pen from the hardware store should do the trick. According to the Humane Society, cat scratching behavior can be reduced by covering areas they shouldn’t scratch with unappealing textures, like aluminum foil or sticky tape. Scratching posts also help reduce unsavory scratching behavior, as it gives them designated areas to release those urges. 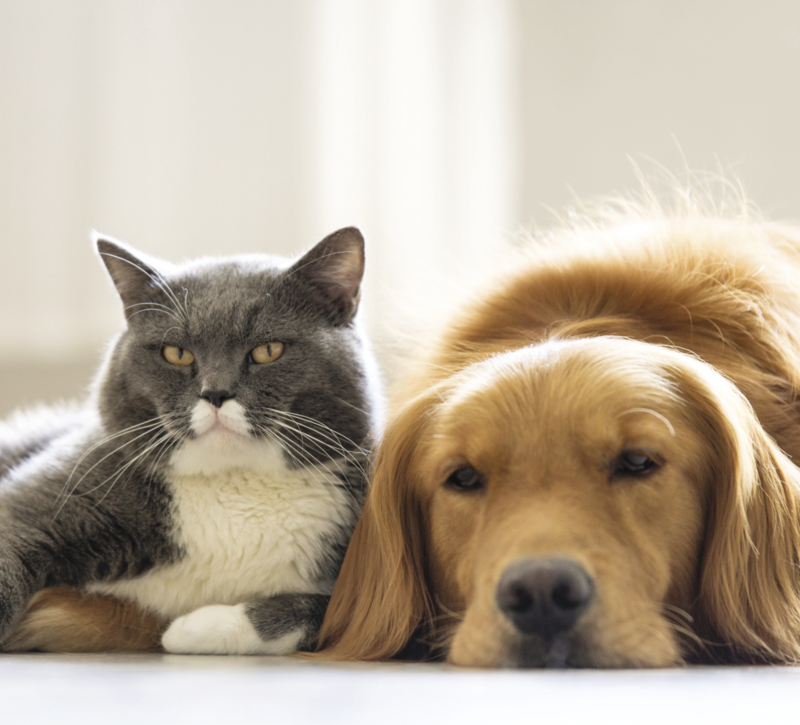 Most pet owners agree: Keeping a home looking clean and smelling fresh can be a lot of work, but the rewards outweigh the challenges. Pets may not always be tidy, but they are truly a part of the family! Being proactive and staying on top of the messes is key to a clean and healthy home, but don’t hesitate to call on the pros if you suspect severe damage.